December 13 2009 post. A friend of mine, who has just had his second autologous stem cell transplant here in Italy, wrote me a note this morning about a paper presented at the recent ASH meeting on gadolinium, which is used as a contrast agent in MRIs. The paper (see: http://tinyurl.com/ybhb6oc) shows that the most common Gd-containing agent, Omniscan, has a proliferative effect on myeloma cells in vitro: Omniscan induced both time and dose dependent MM cell growth in vitro (8-20 fold increase relative to control). Importantly, the presence of BMSC enhanced the effect of Omniscan on growth of both MM cell lines and primary MM cells. And this stuff is being injected into myeloma patients??? By the way, BMSCs (see above quote) stands for bone marrow stromal cells, which are part of the bone marrow microenvironment (discussed in previous posts) and play a crucial role in myeloma cell survival. To be fair, I found a 2009 study stating that the use of gadolinium in myeloma MRIs is safe, see: http://tinyurl.com/ye9abar (the full study can be downloaded for free, just click on the “Full text article” link). The authors declare that doses of up to 5 times normally used may not induce significant adverse effects. (Note that they use the conditional tense: “may.”) Ah, but further on, I came upon a highly suspicious sentence (my emphasis): Furthermore, given that 95–98% of gadodiamide is cleared away by 24 h after injection (according to manufacturer data), there is probably only a very small amount remaining thereafter. So, let’s see, in this study, “according to manufacturer data,” this toxic stuff is eliminated from the body within 24 hours? Uh, wouldn’t that be a bit like saying that an asbestos company guarantees that, based on their data, inhaling asbestos fibers isn’t harmful? Oh yeah, that is really reassuring! (=Please note the sarcasm in my tone…) Sloppy work, very sloppy work, guys. If I had to put my money on one of these gadolinium studies, I would choose the above-mentioned Harvard Dana-Farber (etc.) one. No question. In the ASH-presented study, in fact, autopsies on eight myeloma patients with repeated exposure to Omniscan revealed massive quantities of gadolinium accumulation in tissues of these MM patients regardless of their renal function. Massive quantities…well, so much for the manufacturer data…phooey, I say! January 24 2011 post: Do you remember my post on gadolinium? 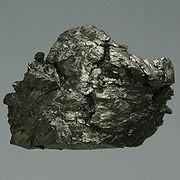 If not, here it is: http://margaret.healthblogs.org/2009/12/13/the-gadolinium-used-in-mris-makes-myeloma-cells-proliferate/ (there is also a corresponding Page, which you can find by scrolling down my Page section on the right). This article reminded me of my December 13 2010 post, the one titled “Why poke a sleeping tiger?” (see: http://margaret.healthblogs.org/2010/12/13/why-poke-a-sleeping-tiger/ Please read or re-read the first part of that post, in particular). The 72-year-old man in the case study had two FDG PET/CT tests done in a two-month period. That gave me pause for thought, especially after I had read the article by Dr. Akin, George Washington University Medical Center, Washington, DC: http://goo.gl/hIctB Please pay particular attention to the last two paragraphs, where Dr. Akin cautions against having unnecessary and repetitive imaging etc. His thinking is akin to mine (sorry, couldn’t help myself…hehe). My gastroenterologist wants me to have an MRI w/contrast, gadolinium. Now that I’ve read the studies and your posts, I won’t allow the gadolinium. Do you know of any other agent that is used instead?I have smoldering MM and not looking to upset the apple cart. allegedly suffered such heart damage from the drug he had to undergo a heart transplant. This may be an unpursued side effect and all parties await the outcome. Thank you for the excellent comments and references. There is research to show that if a person has high levels of zinc in their body from products such as denture cremes, the zinc blocks the gadolinium from passing from the body. I have two lab reports in front of me showing gadolinium levels of 86 and 94 when the reference level for normal is .3 These urine samples were taken two weeks after the MRI. Patient has both brain tumor and extensive lung cancer (both lungs). There are more and more studies all the time showing that gadolinium is retained in the body. This is usually accompanied by the gadolinium ion becoming separated from the ligand it was initially bound to when it was injected. That separation can happen for a variety of reasons. The product itself is often not very stable. But heavy metals or acidic conditions can also expose the gadolinium ion. It is not well studied and by no means should the FDA have approved it as safe. Long-term retention of gadolinium in the skin of rodents following the administration of gadolinium-based contrast agents. Gadolinium released from MR contrast agents is deposited in brain tumors: in situ demonstration using scanning electron microscopy with energy dispersive X-ray spectroscopy.